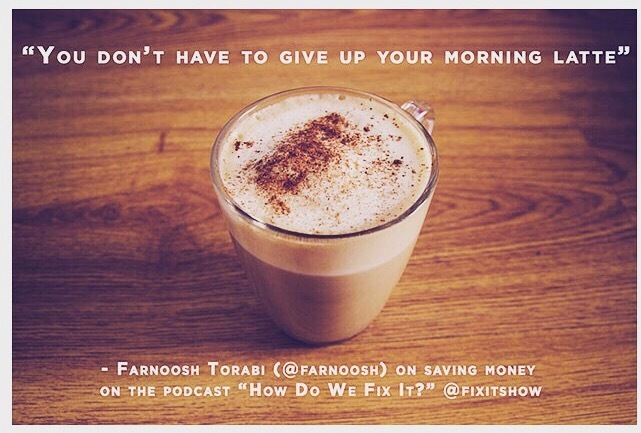 I’ll never forget the first thing personal finance journalist and podcaster Farnoosh Torabi said to me a few months before I launched our new weekly podcast, “How Do We Fix It?”. “What is going to be your target audience?” she asked, looking me straight in the eye as we sat down for lunch at a restuarant in Midtown Manhattan. Well, I have to admit that 7 shows in, I’m still working on that. Unlike many podcasts built around niche markets, such as health, wealth, relationships, or being a great entrepreneur, ours is general interest. Our listeners don’t have exactly the same interests, or three or four favorite Twitter feeds and Facebook pages that they all go to. The community we are building week-by-week wants solutions to many different problems that bug all of us – whether it’s the challenge of raising kids with good values and curious minds, the struggle of getting out from under a mountain of debt, or how to end boredom in the workplace. We’re not in the blame game. Our show has a positive, independent point of view that shuns the old left vs. right mindset. I’ve been watching my friend Farnoosh rather closely to see what ideas we can learn from her about growing an audience. The first thing I learned is that she’s a brilliant marketer, who does a great job of using Twitter and the So Money website to promote herself, her guests and ideas. Farnoosh is also the real deal who cares about her listeners. In a medium as intimate as podcasting, being authentic is vitally important. This week I was a guest on her daily show. After years of interviews where I ask the questions, it was a bit of a shock to have the tables turned! And Farnoosh was very clear about she wanted from me: life lessons and good stories about my experience with money. Her show’s example has helped Jim, Miranda and I (The “Fix It” team) with our podcast. How Do We Fix It? isn’t just about good ideas and concise solutions. We also need to tell personal stories. And we want listeners to give us guidance and suggestions about where our show should go next. Unlike the old days, when broadcast and print journalists simply put out a well produced finished product, podcasts are more spontaneous and part of a conversation. To build support, we’ve just added a pop-up page at our website, urging listeners and supporters to sign-up and suggest ideas for future shows. Having subscribers who rate our shows in iTunes is vitally important to us. In the near future, How Do We Fix It? may launch a Kickstarter page to raise funds to get the message out about our big idea. Our show is about solutions. We welcome lively minds with fresh ideas, who want to make our country better. That’s why we also picked Farnoosh to be our guest this week. Five years after the worst of the recession ended, tens of millions of Americans are still struggling to make ends meet. For many the assumptions of a comfortable life were swept away with the mortgage mess and near financial collapse in 2008. Because the subject can be painful, it’s easy to be in money denial. Farnoosh makes the case for making financial management a part of your daily life. “A lot of us don’t even take that first step of acknowledging money is important and that it can be a means to achieving a lot of life’s goals,” she says.